This was the very reason I bake this traybake often. 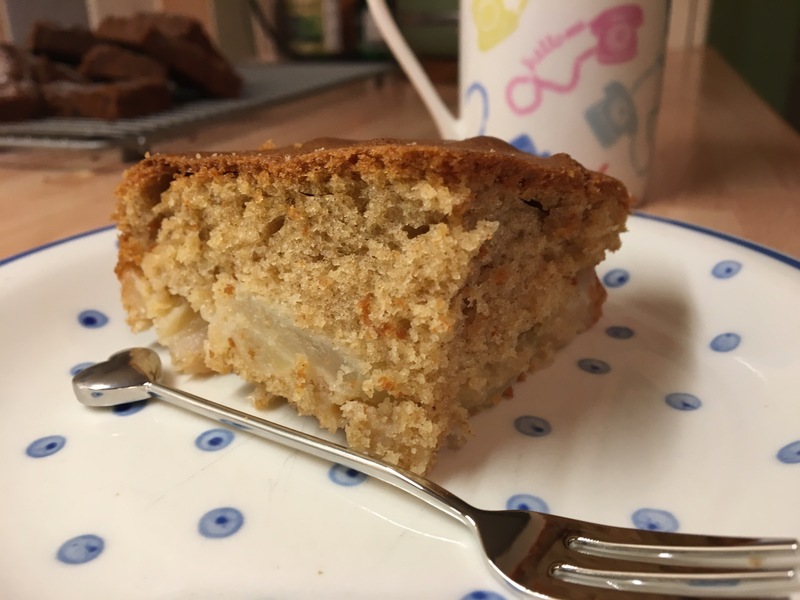 I get lots of beautiful apples given to me and although we like crumbles and pies in our house, sometimes you always want to make something different. Traybakes are great as you can use them like a pudding or a slice of cake but a little goes a long way. I also find them so easy to make, especially if you don’t have a lot of time to bake. My dad and step mum gave me two huge bags of apples from their tree in their garden. I’m sure they said they were Pink Lady apples. Not only did they look really pretty on the outside, but the inside had a lovely pink hue to them too. They always tasted delicious so I knew they would taste incredible in this bake. I have a well used and loved Alan Silverwood traybake tin which came out of the cupboard again on this wet and cold Sunday afternoon. It doesn’t need a lot of greasing but I used a small amount of Wilton Cake Release to stop any stubborn bits sticking to the tin. 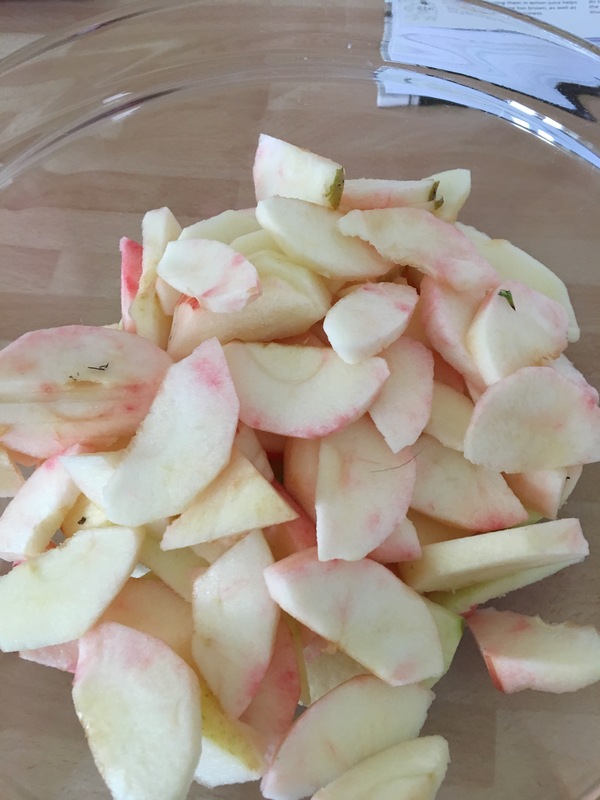 Once all the apples were peeled, cored and cut into thin slices, I put them into a shallow dish and sprinkled them with some lemon juice to stop them going brown. Next, I mixed together butter, light brown muscovado sugar, self raising flour, baking powder, ground cinnamon, eggs and milk into a large bowl. So easy being an all in one method and I made sure everything was well mixed. Now this is where I lost concentration. 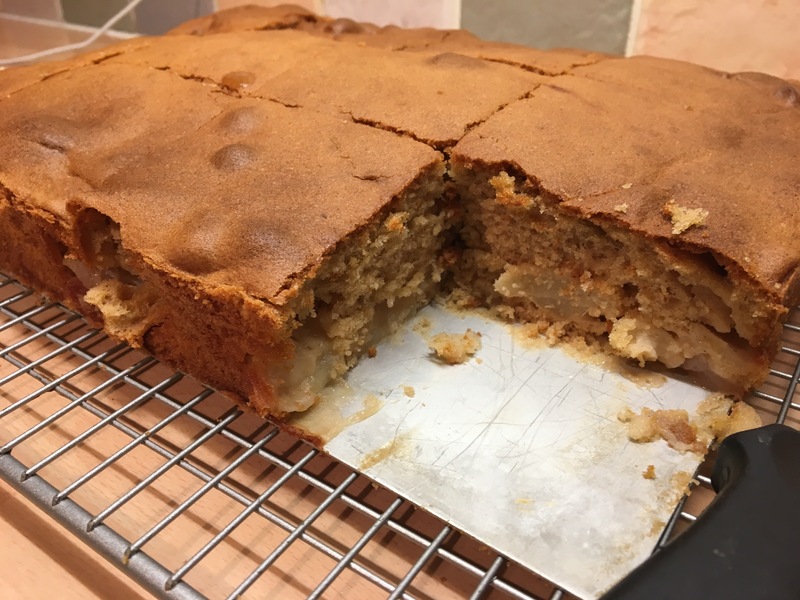 I got distracted and put all the apples in a layer on the bottom of the tin and then topped them with all of the sponge mix. 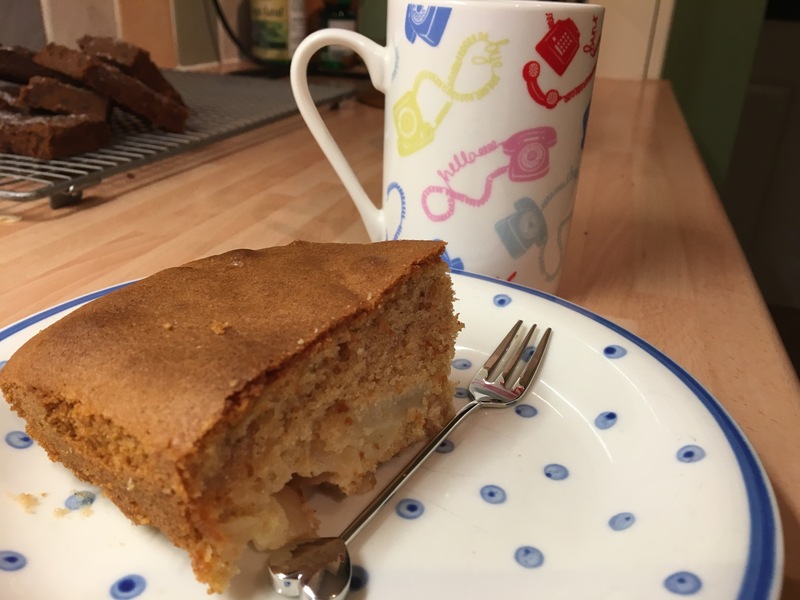 In the recipe you are meant to put half the apples on the bottom, then half the cake mixture, then to repeat it. Rather like making a lasagne! 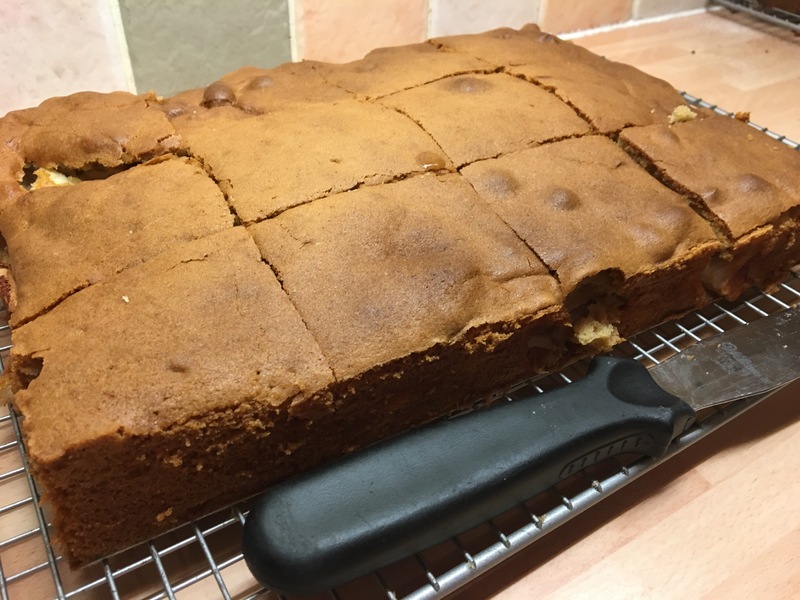 In the end my cake turned up a bit like an upside down cake and didn’t have the defined layers that Mary Berry mentions in her “Keys To Perfection” part of the recipe. My motto is well if it tastes fine, then who cares what it looks like? We had Toad In The Hole for Sunday lunch followed by a slice of the traybake and a scoop of vanilla ice cream. I love the smell of apples and cinnamon as they’re cooking. Definitely an aroma of Autumn there! As the traybake was so big, the rest of it got cut up into slices and put in the freezer for my family to eat in weeks to come. Previous Post Pineapple Upside Down Bundt. Next Post Orange Chocolate Chip Shortbread.